Do you have a school group, sorority or club who would enjoy an interesting, informative, inspiring staff-led tour of the CVA Gallery? The CVA offers enjoyable and educational gallery tours suitable for a variety of visitors, including adults, families, and students of all ages. Tours may highlight the entire exhibition or focus on a particular theme. Tours are held Tuesdays - Fridays between the hours of 10:30am and 4pm. Scheduled school and group tours are free and generally last 30 - 45 minutes. Tours must be scheduled a month in advance. 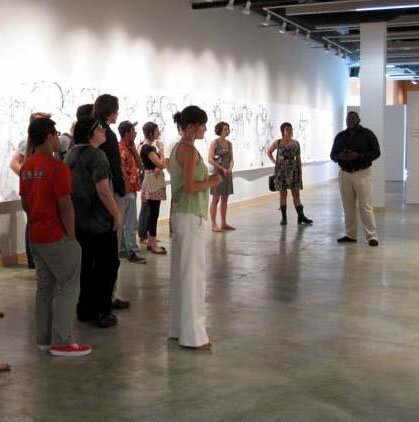 To arrange a guided tour, please contact the gallery at 336.333.7485.